Meet the 2013 SXSW Filmmakers #6: Zak Knutson and Joey Figueroa Teach Film History with 'Milius"
What it’s about: “Milius” is about one of the most influential storytellers of his generation, John Milius. Maybe the last of the “Old School” Hollywood types. A man with a larger than life personality and a resume that is undeniable. A man who speaks with zero filter, which at times can be as unpopular as it is celebrated. What else do you want audiences to know about your film? This film was a passion project, that has been in the works for a number of years. We had a list of interviews we were determined to get, and that list was about 15 people long. By the end of the project, that list reached 60 plus interviews. Turns out, John Milius knows everybody, and not just industry folks, but some people you would never have thought, as you will see in the film. What’s been your path to filmmaking? We are a couple of guys who met in the mid 90’s while working at a strip joint in Santa Ana, Ca. I was the Dj, and Zak was the bouncer whose post was next to the Dj booth. We spent most of our time talking movies, wanting to make movies, quoting dialogue, all while some stripper was getting felt up, and I had an empty stage (obviously not doing our job). In 2005 we formed Chop Shop Entertainment, and began making behind the scenes documentaries. What was your biggest challenge in bringing “Milius” to the big screen? A week before we were to shoot our first interview with our subject John Milius, he unfortunately suffered a massive stroke. We put the project on hold, for quite some time. There was a strong possibility that this Documentary was never going to see the light of day. After conversations with John and his family, the decision was made to move forward. This changed our approach in how we were going to tell this story, which led to numerous challenges. What’s the film that most inspired you? You can’t deny films like “The Kid Stays In The Picture” or “Easy Riders, Raging Bulls “inspiring being great representations of this period in Hollywood, but we were really driven by the films these guys made in 70’s and 80’s. It was those movies and telling their stories that really inspired us. What would you like SXSW audiences to come away with after seeing your film? 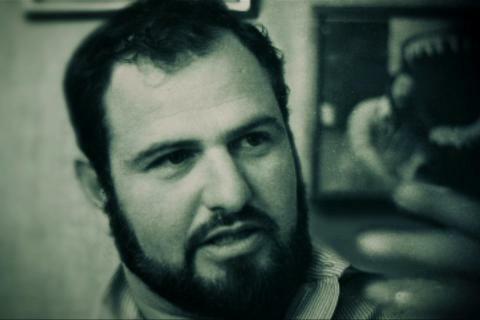 To know who John Milius is, as an artist, as a person. Introduce him to a generation that may not have heard of him or his work. It’s important to any young filmmaker, or even just a fan of movies or movie history to learn the story of such an influential person in the industry. I hope they take a way a sense of admiration for a man who never wavered in his beliefs, whether it reaped him rewards or was a detriment, and that has to be respected. Indiewire invited SXSW directors to tell us about their films, including what inspired them, the challenges they faced and what they’re doing next. We’ll be publishing their responses leading up to the 2013 festival. Keep checking HERE every day up to the launch of the festival on March 8 for the latest profiles.